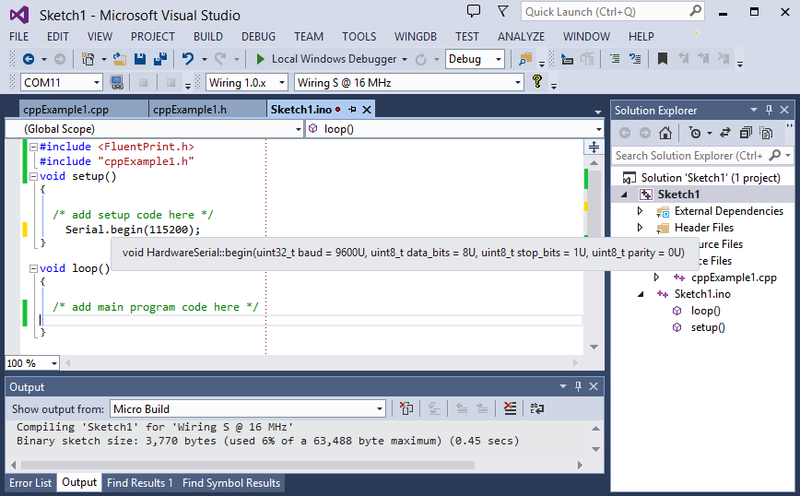 The Wiring Ide has been added to the standard list of supported Visual Studio Ide's. The Wiring Ide gives an interesting alternative to building programs with the Arduino core/backend. Hardware manufacturers, such as sparkfun electronics, make simple update packs for Wiring that extend the list of available boards that can be developed using the Ide.